Mahindra & Mahindra's automotive division, known for its sports utility vehicles, plans to deepen service network in rural geographies by as much as 50 per cent in 18 months, instead of focussing on dealerships with integrated service centres. 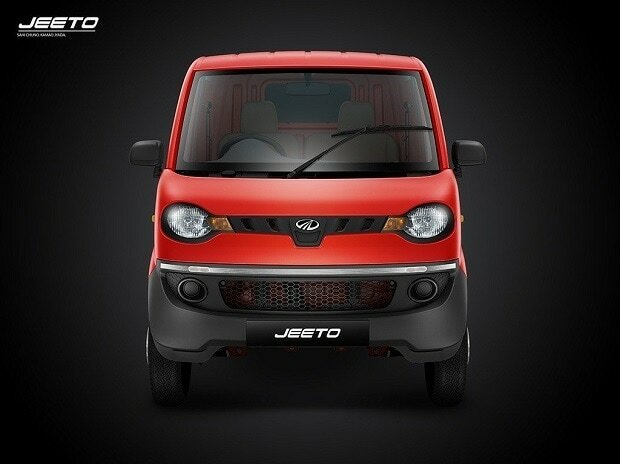 The company will expand its Mahindra Mitra Technician (MMT) network, started three-and-a-half years ago. The asset-light model, which has small two-bay service centres owned by local entrepreneurs, will expand from 3,000 touch-points to 5,000. The rural push comes on the back of a three-pronged strategy of increasing presence in rural regions, urban areas and on highways. Around 350,000 villages have access to the MMT network, officials said. This is part of M&M's overall network strategy was put in place three years ago when officials realised that the addition of 20 large-format dealerships every year was expensive and unable to match demand. "Showrooms at bigger cities aren't affordable. The days of having a facility with 20 vehicles on display and 40 for test-drives are gone," said Pawan Goenka, M&M managing director. "That doesn't mean traditional showrooms won't exist." The showrooms are being upgraded to offer virtual reality tours, instant inventory searches, and on-the-fly assistance from tablet-wielding sales executives, but the old-world mode of sales is changing, he said. "There's a lot more online research that customers do and, therefore, there are more questions to be answered, and we are adapting to that," Goenka said, adding that the classic hard-sell approach to cars doesn't work anymore. He's not wrong. A customer may not even visit a showroom in the future, with service centres and online websites driving the way cars are sold. Amit Kumar Sinha, managing director of Ambition School of Science in Purnea, Bihar, who bought his first Mahindra XUV X-8 from a dealership in Muzaffarpur, said he spent nearly four hours picking up the car. Last year, he bought a second XUV after online research and went to the dealership only to pick up the car. "I don't think I need to go into a dealership in the future," he said. It's important to also consider the difference between urban and rural buyers. In bigger cities, the footfall in showrooms has dropped by 20-30 per cent over the past couple of years, across brands, said Rakesh Batra, national auto-sector leader for EY. "Rural showrooms may see footfalls for a while, but from an overall customer trend perspective for higher price segments, anything over Rs 600,000, the product information is again harvested online," Batra said. 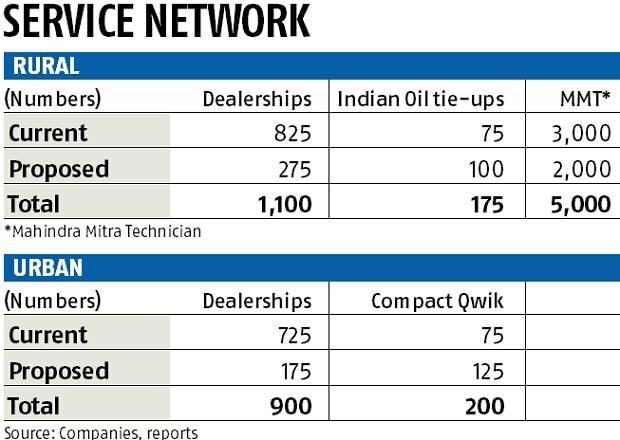 Veejay Nakra, M&M's chief of sales and marketing for the auto business, said the company will add more Compact Qwiks, workshops of one or two service bays. M&M has 75 Compact Qwiks and will add 125 in two years. The third leg of the expansion includes highways and a tie-up with IndianOil to operate a single service bay onsite. Seventy-five such centres have been set up in the past 18 months and another 100 will go live in the next 18 months. All three formats combined resulted in the company's vision of establishing "one M&M centre every 25 km" (on average in inhabited villages, towns, and cities), and will see between Rs 6 billion and Rs 7 billion in investment from both channel partners and the company, officials said. Kavan Mukhtyar, partner and leader automotive with PwC, said the dealerships of the future would be seeing a lot of reorganisation. "The challenge of course is the business viability since low-investment models are logical, but sales volumes eventually dictate success," he said.